We collect personally identifying data about you, such as your name, address and e-mail address. We use your personal data to respond to requests to be included in our mailing lists as well as to follow-up with you after a purchase or other action on our site. We do not share your personal data with any third parties other than service providers who use the information only to help us respond to your requests. We never rent or sell your personal data. The personally identifiable information that you provide to us and information about your order may be combined with other personally identifiable information (such as demographic information and past purchase history) available from our records and other sources. We also use Pixel Tags to collect additional information regarding your browsing experience. This information will be used to make our future marketing efforts more efficient and to provide you with a more relevant and timely brand and shopping experience. This information may also be shared with our third party service providers that assist us with our marketing efforts and with other marketers whose products or services we feel may be of interest to you. 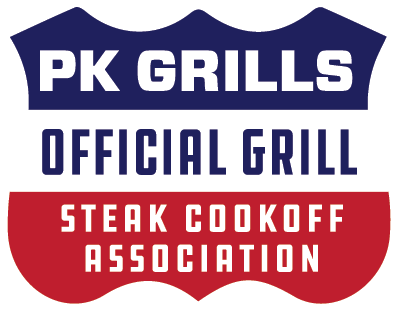 If you prefer that we do not share your name and address with other marketers, please email us at customerservice@pkgrills.com. You may link to the home page of our Site as long as the link does not cast us in a false or misleading light. Portable Kitchens®, Inc. prefers advance notice of such linking, which can be provided to the attention of our administration at the address and numbers listed on the Contact Us web page. You may not frame the content of our Site. You may not use metatags or any other "hidden text" that incorporates Our Trademarks or our name without our express written consent. ALTHOUGH WE INTEND TO TAKE REASONABLE STEPS TO PREVENT THE INTRODUCTION OF VIRUSES, WORMS, "TROJAN HORSES" OR OTHER DESTRUCTIVE MATERIALS TO OUR SITE, WE DO NOT GUARANTEE OR WARRANT THAT OUR SITE OR MATERIALS THAT MAY BE DOWNLOADED FROM OUR SITE ARE FREE FROM SUCH DESTRUCTIVE FEATURES. WE ARE NOT LIABLE FOR ANY DAMAGES OR HARM ATTRIBUTABLE TO SUCH FEATURES. WE ARE NOT LIABLE FOR ANY CLAIM, LOSS OR INJURY BASED ON ERRORS, OMISSIONS, INTERRUPTIONS OR OTHER INACCURACIES IN OUR SITE OR FOR ANY CLAIM, LOSS OR INJURY THAT RESULTS FROM YOUR USE OF THIS SITE OR YOUR BREACH OF ANY PROVISION OF THIS USER AGREEMENT.